HYPPP Cream® will improve the quality (pigmentation, tone, texture and porosity), as well as the biomechanical properties (tightness, elasticity, hydration) of your skin. HYPPP Cream® exerts these effects through the activation of specific cells (e.g. fibroblasts, endothelial cells, stem cells) in the deep skin layer (dermis). This process functions at the molecular level via the low oxygen tension (hypoxia)-induced signaling of growth factors present in HYPPP Cream®. This signaling leads to the production of new collagen, elastin, glycosaminoglycans and nourishing blood vessels. Through the incorporation of special liposomes, as well as the removal of the large molecule fibrinogen from the composition, factor penetration into the dermis is increased. 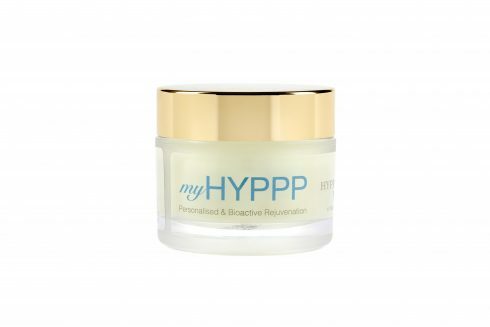 HYPPP Cream® is your daily rejuvenation skin care product that enhances your beauty from within. Apply morning and/or night on clean skin. The cream is also ideal as accompanying treatment for rejuvenating procedures such as dermabrassions, chemical peels and laser treatments, since it will actively support skin regeneration. With or without sunscreen. 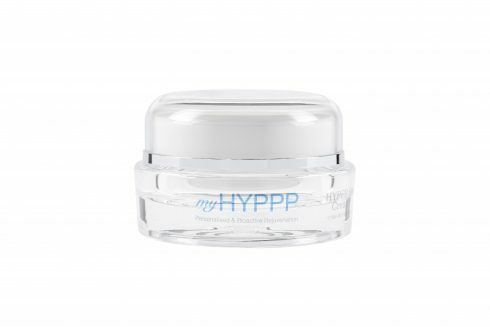 HYPPP Eye Cream is ideal for treating the eye region, especially dark circles and swelling under the eyes. Restore a youthful and captivating gaze with HYPPP Eye Cream. The naturally derived ingredients in this miracle cream directly fight the cause of dark circles and puffiness, and work together with HYPPP growth factors to drastically improve the appearance of the eye area, giving you a more youthful, awake and vibrant look. Apply morning and evening. Remove all make-up and clean your face thoroughly. 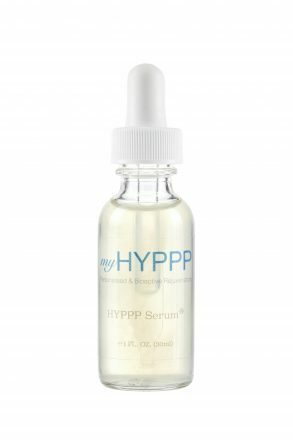 HYPPP Serum® is a highly active alternative to the HYPPP Cream®. Because of its thin consistency, it is absorbed fast through the skin. This allows you to apply concentrated HYPPP growth factors under your routine skin care product. HYPPP Serum® is ideal for application at night, when it will continously stimulate skin regeneration during the resting phase. A special formula for an intensive treatment with HYPPP growth factors. HYPPP Princess Mask will instantly provide an illuminating glow and rich care to your skin. Apply HYPPP Princess Mask on clean skin and let 20 minutes before washing. For optimal results, use two to three times a week. 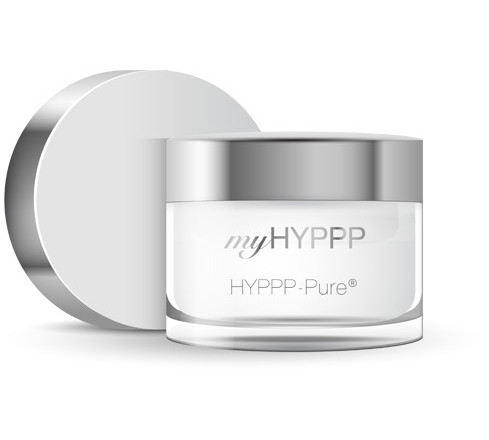 This highly pure composition of HYPPP factors makes HYPPP-Pure® ideal for sensitive and hyperallergic skin. The process uses the innovative HYPPP Bi-Phase® technology and is based on the sampling of growth factors in a special clean medium. The composition can be integrated in the various HYPPP products (HYPPP Cream, HYPPP Eye Cream, HYPPP Serum und HYPPP Princess Mask). © 2019 Cultema GmbH: All rights reserved.